Hello, iPad. Hello, Cloud 2. Editor’s note: What does the iPad have to do with cloud computing? Glad you asked. 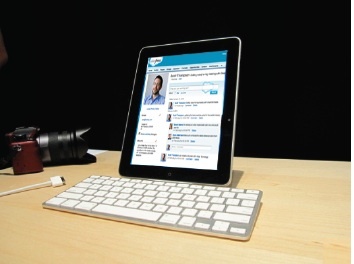 In this guest post Marc Benioff, chairman and CEO of salesforce.com, explains how liberating the iPad will really be. The first piece of software I ever wrote was on the TRS-80 Model 1. It was called “How To Juggle”, and it had 4K of memory. It was my version of “Hello World”, what every programmer first writes on a new piece of hardware. CLOAD Magazine purchased it for $75, they distributed it to their subscribers on a cassette (there weren’t disks for the TRS-80 yet). It was 1979. I was 15 years old, and I was a software entrepreneur. I still am. Last week I gave presentations to more than 60 CIOs in various meetings throughout America’s heartland. My message to them: We are moving from Cloud 1 to Cloud 2, and the iPad is the accelerator. 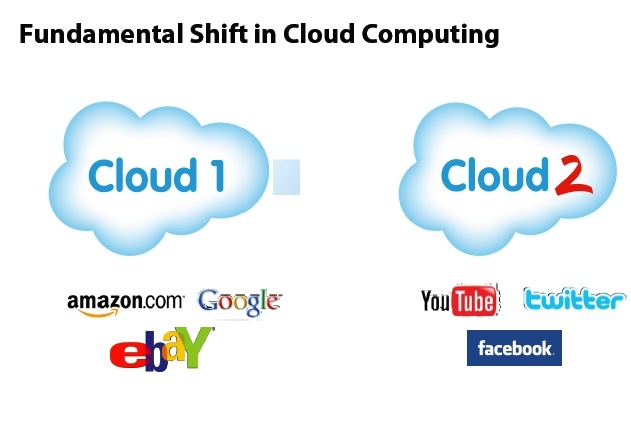 Many of them haven’t even made it to Cloud 1—some are still on mainframes. They are working on MVS/CICS, or Lotus Notes, and they have never heard of Cocoa, or even that there is now HTML 5. This is unacceptable. The next generation is here. The iPad that shows us what now is really possible—and that we all need to go faster. Unfortunately, some CIOs would rather retire than go faster. What’s most exciting is that this fundamental transformation—cloud + social + iPad—will inspire a new generation of wildly innovative new apps that will change entire industries. Take health. We have all been waiting for the health application that will revolutionize how we share and communicate with our doctors, and help us make better health care decisions. The apps we have seen as first generation EHR/PHR just have not cut it, and now with ObamaCare there is no killer app to accelerate through the new EHR reimbursement program. The shift ignited by the iPad will allow the proliferation of these new missing apps, and automate the industries and professionals left behind by the last generation of technology. Now, no industry will be left behind. It was on TechCrunch in late February that I first suggested that the enterprise software industry has to move forward and posted an article, “The Facebook Imperative.” In 1999, I was obsessed with the question, “Why isn’t all enterprise software like Amazon.com? And in 2010, the question evolved: “Why isn’t all enterprise software like Facebook?” This week we will have the answer to that question in our hands with the iPad. It’s a more productive, easier, and fun way to work and live. The iPad shows us the old world is no longer good enough. We’ll need new software with a new UI. Our industry has gone through many shifts, but ultimately, the big ones have always been about software, not hardware. Now, we are seeing a simultaneous software and hardware revolution. The key apps we use in productivity, collaboration, communication, entertainment, education, and even health, will all be rewritten to take advantage of the new capabilities. This will result in a new generation that looks more like Facebook on the iPad than Yahoo on the PC. Our industry is changing. We all need to step up to meet this change head-on or we will leave an incredible opportunity behind.